A former Republican City Councilman in Philadelphia who lost re-election in 2011 after taking an unpopular retirement payment is eyeing a comeback. Frank Rizzo Jr. said he is thinking about running for mayor next year, but he’s waiting for the field to take shape to make a decision. If he doesn’t go for the city’s top job, the son of a legendary mayor said he’s got a “plan B”: Run for City Council again, this time as a Democrat. 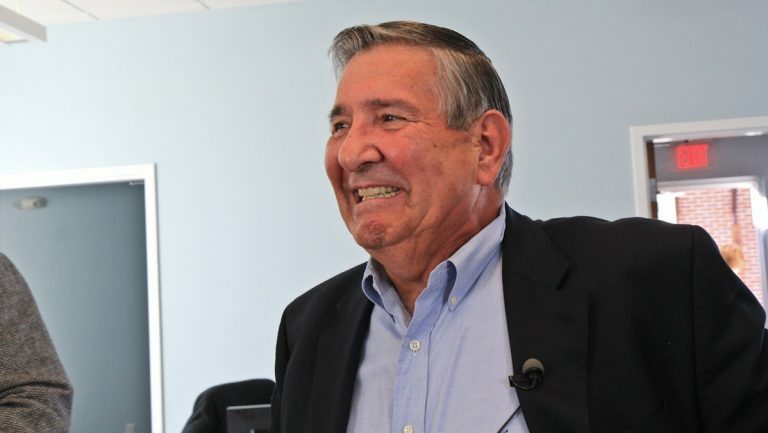 Political insiders blamed Rizzo Jr.’s defeat in 2011 on his enrolling in the Deferred Retirement Option Plan, commonly known as DROP, and losing the support of the city’s GOP. Only two candidates have officially entered the mayoral race: former city solicitor Ken Trujillo and past Redevelopment Authority director Terry Gillen. State Sen. Anthony Hardy Williams and former District Attorney Lynne Abraham plan to announce this week.